Assam Panchayat Election Result 2018: The counting for Assam Panchayat Election has begun. More than 78,000 candidates are contesting for the election. The election was conducted in two phases with 82 percent voting. Polling in 53 booths in 10 districts was voted in the second phase of the election where 75 percent of the voters cast their vote. 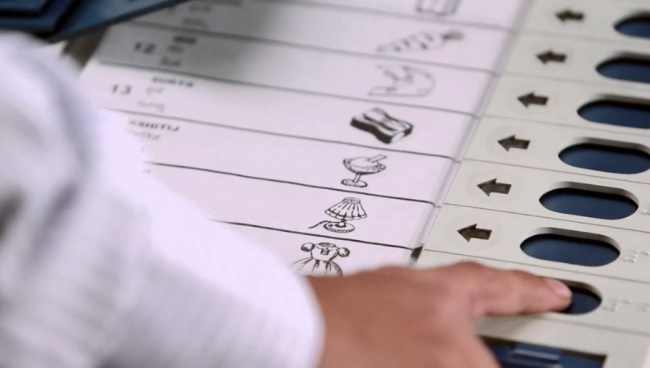 The first phase of polling was conducted on December 5 in 16 districts. In the first phase of election, the vote percentage stood at 81.5 percent. On Sunday, 35,056 candidates were contesting for the election of 169 District Council, 895 Zonal Council, 895 Gram Panchayat President, and8950 Gram Panchayat members in Nalbari, Barpeta, Bongaigaon, Dhubri, South Salmara, Golpara, Chachar, Helakandi, Karimganj, and Hojai. For the Assam Panchayat elections, BJP, Congress, Assam Gun Council, Bodoland Peoples Front, Left Party and AIUDF were chiefly contesting as big parties in the state. Assam is one of the biggest states in North-East. The Assam panchayat Election Result 2018 will be announced today. The fate of more than 78,000 electorate will be decided through this, the counting of votes is already in progress. This time, the issue of NRC was the biggest issue in Assam, in this election it is being seen as a litmus test for the BJP government. It is believed that the results of these elections will determine the condition and direction of the 2019 Lok Sabha elections.